Administrative Law Judge (ALJ) Trevor Skarda, Office of Administrative Hearings (OAH), Special Education Division, State of California, heard this matter on December 21, 2006, in Costa Mesa, California. Orange County Office of Education (OCOE) was represented by attorney Karen L. Van Dijk. Also present on behalf of OCOE was Mel Peters, a consultant for OCOE. Both Orange Unified School District (Orange) and Hemet Unified School District (Hemet) were represented by attorney Brian R. Sciacca. Also present on behalf of Orange was William Gee, the special education local plan area (SELPA) Director for Orange. Also present on behalf of Hemet was Gary Goldamere, Hemet’s Director of Special Education. Attorney Patricia Cromer was present on behalf of the Student. Jackie Warner, who has been designated by the Orange County Juvenile Court as Student’s Responsible Adult (RA), was also present on behalf of Student. Student’s parents did not attend. The hearing convened on December 21, 2006. Thirty-four exhibits were admitted by stipulation of the parties. The parties agreed to multiple stipulated facts. Several witnesses testified. The parties agreed to waive the forty-five day time lines, and the ALJ agreed to issue his decision no later than January 31, 2007.1 Thereafter, on January 19, 2007, the last of the written closing arguments was received by the ALJ, and the matter was submitted for decision. 1 Under the applicable statutory timelines, the decision would have been due after the stipulated date. 2 For purposes of clarity and organization, the ALJ has rephrased the issue presented. 3 Due to technical difficulties, Hemet’s representatives were not able to participate in the meeting via telephone. However, Hemet subsequently received a copy of the IEP. Thereafter, Hemet refused to participate in further IEP team meetings (even via telephone) because it believed that Student’s education was not Hemet’s responsibility. 4 It is unclear why the Court approved Excelsior before the expanded IEP team determined that, based on the recommendation of Mental Health, Excelsior was a FAPE for Student. Although the Court must approve any specific placement proposed by the IEP team for children like Student, it is typically done after the IEP team agrees the placement is appropriate. 5 The parties did not disclose the exact date. 6 Although not relevant to the proceedings, the ALJ notes that OCDE and Student’s attorney entered into a confidential settlement agreement, the specific terms of which were not disclosed to the ALJ. The ALJ notes however, that in Student’s closing brief, her attorney disclosed that OCDE agreed, outside of the IEP process, “to place Student in her RTC placement” so that Student would not languish in an inappropriate placement. The ALJ did not consider this disclosure in reaching the instant decision because Student’s disclosure: (1) appears to be a confidential communication; (2) is not evidence; and (3) is not relevant. 7 See also, 34 C.F.R. § 300.201 (effective October 13, 2006). Which local educational agency (LEA) is responsible for Student’s free and appropriate public education (FAPE): Hemet Unified School District, Orange Unified School District, or the Orange County Office of Education? In August 2005, Student was transported to a California State certified non-public, non-sectarian school (NPS) residential treatment center (RTC). The placement is called Excelsior Academy (Excelsior) and is located in Aurora, Colorado. Prior to Excelsior, Student’s educational placement was Orangewood. It was not disputed that, while Student was at Orangewood, her education was the responsibility of OCDE. The question presented is which agency became responsible for Student’s FAPE after she left Orangewood. Student contends that after she left Orangewood, her FAPE became the responsibility of Hemet because one or both of Student’s parents resided within the boundaries of Hemet at that time. In the alternative, Student contends that OCDE or Orange is responsible for Student’s FAPE. While OCDE admits that it was responsible for Student’s education during her stay at Orangewood (from February to August 2006). OCDE contends that it was not the responsible LEA after she left Orangewood, because it was not Student’s “district of residence.” OCDE contends that Hemet or some other public agency then became responsible for Student’s FAPE. Hemet contends that it is not responsible for Student’s FAPE because Student’s parents were stripped of educational decision-making rights by a court of competent jurisdiction. Hemet contends that the general rule found in Education Code section 48200 (that the parent’s residence determines what public agency is responsible for a pupil’s FAPE) is inapplicable. Orange contends that it is not responsible for Student’s FAPE. 1. Student is a 15-year-old ninth-grade pupil. She is eligible for special education and related services as a student with an emotional disturbance. As noted above, Student currently resides in an RTC located in Colorado called Excelsior. 2. Student is currently a dependent of the Orange County Juvenile Court (Court) in accordance with Welfare and Institutions Code section 300, et. seq. Student is not a ward of the Court. 3. Educational rights have been removed from Student’s parents. However, parental rights (including legal custody) have not otherwise been removed from Student’s parents. Student’s mother is currently involved in Student’s treatment program at Excelsior. 4. On or about February 6, 2006, the Orange County Department of Social Services (SSA) placed Student at Orangewood Children’s Home (Orangewood). Orangewood is Orange County’s only temporary emergency shelter for neglected and sexually, physically or emotionally abused children who fall within the provisions of section 300, et. seq., of the Welfare and Institutions Code. 5. On May 4, 2006, the Student’s individualized education program (IEP) team referred Student to Orange County Health Care Agency (Mental Health) for a mental health assessment and potential placement in an RTC. OCDE subsequently sent a copy of the IEP to Hemet. 6. On May 5, 21 and 22, 2006, counsel for the Student sent separate correspondence to Hemet regarding Hemet’s potential responsibility for Student’s education based on the residence of her parents. The May 22, 2006 correspondence states that Student’s mother lived within the boundaries of Hemet. 7. On June 8, 2006, the Court appointed Jackie Warner as the Student’s RA, authorizing her to make educational decisions on behalf of the Student. 8. On July 5, 2006, OCDE invited Hemet to attend an IEP team meeting scheduled for July 13, 2006. Student’s mother resided in the boundaries of Hemet as of that date. 9. On July 13, 2006, Student’s expanded IEP team meeting convened. Hemet agreed to participate telephonically, but did not participate.3 At the meeting, Mental Health recommended that Student be placed in an RTC following her release from Orangewood, and further agreed to conduct a residential placement search. On the same date, OCDE sent another letter to Hemet indicating, in relevant part, that Student’s mother resided in the boundaries of Hemet and that Hemet would be responsible for Student’s education once she was released from Orangewood. 10. On July 17, 2006, Mel Peters from OCDE and Michael Hubbard of Hemet corresponded via email regarding the status of Parents’ educational rights. 11. On July 20, 2006, OCDE faxed an invitation to Gary Goldamer, Hemet’s special education director inviting him to participate in an IEP team meeting for Student on July 24, 2006. 12. On July 20, 2006, the Court issued an order consenting to the implementation of Student’s July 13, 2006 IEP.4 Care and custody of Student remained with SSA “when minor is released from Orangewood … to enter the RTC placement.” The order also requires that Orangewood release Student to OCDE staff, an agent, or any agent of a school district “determined to be responsible to fund the educational costs” of Student’s placement at Excelsior. 13. On July 24, 2006, Student’s expanded IEP team meeting reconvened to discuss the already Court-approved placement at Excelsior. Hemet refused to attend the meeting. Mental Health recommended that Student be placed at Excelsior upon her release from her temporary placement at Orangewood. Mental Health was unable to find an appropriate and/or available in-state RTC for Student. OCDE subsequently sent Hemet a copy of the IEP. 15. As discussed in Legal Conclusion 1, all children who are otherwise eligible are entitled to a FAPE. As discussed in Legal Conclusions 2 through 5, typically, the public entity responsible for the provision of a child’s FAPE is the LEA in which either: (1) the parent of the child resides or, (2) the guardian resides. 16. Hemet is an LEA. 17. Student’s mother has resided at all times relevant to this decision within the boundaries of Hemet. 18. Student’s mother (as well as her father) has retained legal custody of Student. 19. Student’s mother and father do not have educational decision-making rights in regards to Student at this time. The Court-appointed RA, Jackie Warner, has educational decision-making rights. 20. As discussed more fully in Legal Conclusions 15 through 17, because one or more of Student’s parents have resided within the boundaries of Hemet at all times pertinent to this case, Hemet was responsible for Student’s education after she was released from Orangewood in August 2006, up to the date of this decision, absent some exception. 21. No exception applies: (1) Student was not placed in a licensed children’s institution (LCI) when she left Orangewood; (2) Student is not currently a party to an inter-district transfer; (3) Student does not reside within the home of a care-giving adult or hospital within the jurisdiction of any school district of the state; (4) Student has not been declared an emancipated minor by a court of competent jurisdiction; and (5) Student was not placed in another juvenile court school when she left Orangewood. 22. As discussed more fully in Legal Conclusions 18 through 21, because no exception applies, Hemet became responsible for Student’s education from the time she left Orangewood. (1) A person having legal custody of a child. (2) Any adult pupil for whom no guardian or conservator has been appointed. (3) A person acting in the place of a natural or adoptive parent, including a grandparent, stepparent, or other relative with whom the child lives. “Parent” also includes a parent surrogate. (4) A foster parent if the authority of a parent to make educational decisions on the child’s behalf has been specifically limited by court order in accordance with subsection (b) of section 300.20 of title 34 of the Code of Federal Regulations. (1) A pupil placed within the boundaries of that school district in a regularly established licensed children’s institution, or a licensed foster home, or a family home pursuant to a commitment or placement under chapter 2 (commencing with section 200) of part 1 of division 2 of the Welfare and Institutions Code. (2) A pupil for whom interdistrict attendance has been approved pursuant to chapter 5 (commencing with section 46600) of part 26. (3) A pupil whose residence is located within the boundaries of that school district and whose parent or legal guardian is relieved of responsibility, control, and authority through emancipation. (commencing with section 6550) of division 11 of the Family Code by the caregiving adult is a sufficient basis for a determination that the pupil lives in the caregiver’s home, unless the school district determines from actual facts that the pupil is not living in the caregiver’s home. 9. Under limited circumstances, a special education local plan area (SELPA) must continue to fund a RTC for the remainder of a school year (including an extended school year) after a child transfers mid-year from one district to another district operating within a different SELPA. (Ed. Code, § 56325, subd. (c).) However, this provision only applies if the child was already placed and residing in the RTC “prior to transferring to a district in another [SELPA].” Id. It is the … intent of the Legislature to ensure that all individuals with exceptional needs are provided their rights to appropriate programs and services which are designed to meet their unique needs under the Individuals with Disabilities Education Act (20 U.S.C. 1400 et seq.). Which LEA is responsible for Student’s FAPE: Hemet Unified School District, Orange Unified School District, or the Orange County Office of Education? 15. As stipulated by OCDE, OCDE was responsible for Student’s education while she was placed at the juvenile court school Orangewood. As discussed in Legal Conclusion 8, Student was the responsibility of OCDE during her stay at Orangewood because Orangewood is a juvenile court school. 17. As determined in Factual Finding 17, Student’s mother, at all relevant times, has resided within the boundaries of Hemet. As determined in Factual Finding 20, because Student’s mother resides within the boundaries of Hemet, Hemet is responsible for Student’s education from the time Student left Orangewood in August 2006. 18. Hemet argues that because the RA has educational decision-making rights, Student’s parents are not her parents as that term is used in Education Code section 48200. As discussed in Legal Conclusion 5, the Education Code defines “parent” as a person having legal custody of a child. Student’s parents have legal custody. Hemet’s argument is not persuasive. 19. As discussed in Legal Conclusions 7, 8 and 9, there are exceptions to the general rule that the residence of the parent determines what local education agency is responsible for a child’s FAPE. Hemet argues that OCDE, not Hemet, retained responsibility for Student’s education after she left Orangewood. As determined in Factual Finding 21, none of the exceptions apply. 20. Hemet also argues that OCDE is responsible for funding Student’s Excelsior placement pursuant to Education Code section 56325, subdivision (c), for the remainder of the current school year because it placed Student at Excelsior. As discussed in Legal Conclusion 9, this provision is only applicable where a Student transfers from district to district in different SELPAs during a school year. 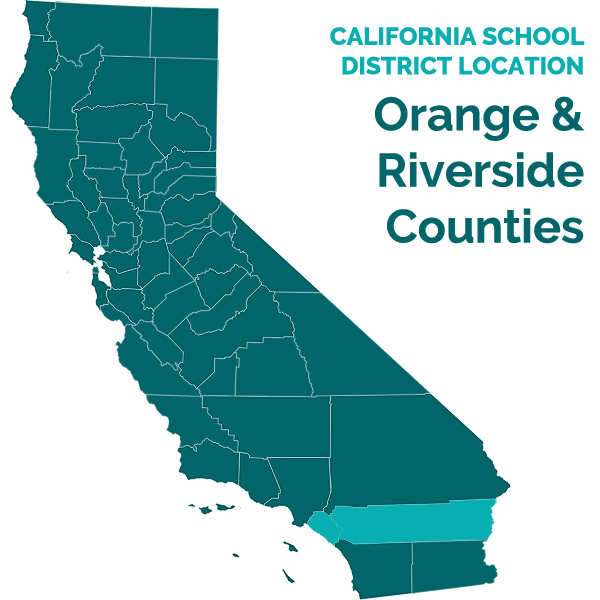 Because Student did not transfer from one district to another district (OCDE is not a district, and Student’s Orangewood placement was a temporary, Court approved placement made by SSA), this provision is inapplicable. Additionally, Student was not “residing” at Excelsior at the time she left Orangewood. 21. Hemet makes several additional arguments, none of which are persuasive or relevant. Of note, Hemet argues that it would be unfair to burden Hemet with the costs of a placement made by OCDE. OCDE was legally obligated to provide a FAPE to Student during her temporary placement at Orangewood. One of OCDE’s responsibilities was to work in conjunction with Mental Health to find an appropriate post-Orangewood placement for Student; in this case, it is not disputed that Student requires an RTC because of her emotional disturbance and mental health needs. OCDE should not be punished for fulfilling its legal obligations to Student. Moreover, Hemet had every opportunity to participate in the development of Student’s IEP. Student and OCDE regularly communicated with Hemet. Hemet chose not to participate because it believed (incorrectly) that it would not become responsible for Student’s FAPE when Student left Orangewood. Hemet Unified School District became responsible for Student’s FAPE from the time she left Orangewood. Pursuant to California Education Code section 56507, subdivision (d), the hearing decision must indicate the extent to which each party has prevailed on each issue heard and decided. The following findings are made in accordance with this statute: Student prevailed on the issue related to whether Hemet was responsible for Student’s FAPE after she left Orangewood. IT IS SO ORDERED THIS 31ST DAY OF January 2007.